When it comes to insight.com, you have many reporting options. The e-commerce platform has the ability to automate reports so that you receive recurring updates at pre-selected times. Setting the schedule and delivery method of your reporting cadence gives you the flexibility and convenience of receiving reports when you need them. Log in to your insight.com account and select the Reports link under Account Tools. Under the Schedule Report option, select the frequency you’d like to receive the report: daily, weekly, monthly, quarterly or annually. Daily reports run each morning and include data from the previous day. Weekly reports run each Saturday and include data from the previous week. Monthly reports run the first day of each month and include data from the previous month. Quarterly reports run the first day of each quarter and include data from the previous quarter. Yearly reports run on Jan. 1 and include data from the previous year. 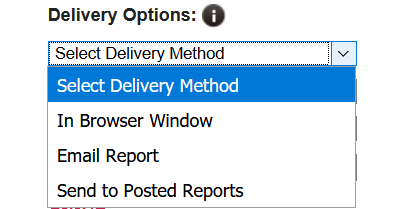 Under Delivery Method, you have three options: Open in a browser window, email the report or send to posted reports. You can also set up FTP or SFTP report delivery by contacting the e-commerce support team. Note: When “Email Report” or “Send to “Posted Reports” is selected, the report runs on the server and, once complete, is delivered to posted reports or to your email account. The advantage of either of these options is you can do other things while the report is running. Keep in mind: Extremely large reports will result in an email with a link to download the report. If you’re running a large report, the best option is to have it delivered to posted reports. If you don’t see a Reporting link, contact your account team or e-commerce support team.